The Jungle Book is a film that needs no introduction… so, I’ll introduce the review by telling you it needs… yep, you’re already ahead of me. 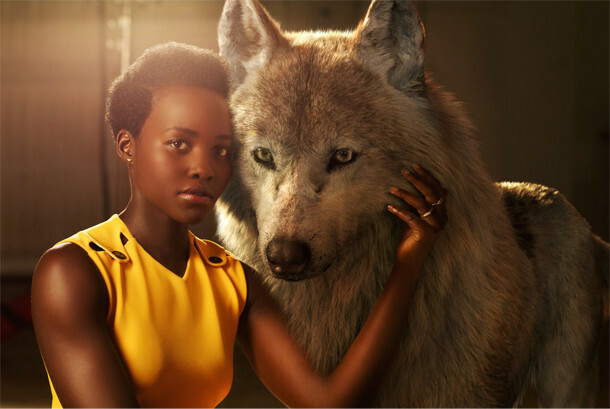 Mowgli (Neel Sethi) is the boy, I mean, man-cub, who’s spent most of his young life growing up with the only pack of wolves who wouldn’t tear him apart, yet his time with them is coming to an end, thanks to the nefarious behaviour of Shere Khan (Idris Elba sounding very much like he’s doing an impression of Mark Strong), and he must return to human life, not that he remembers much about how to be one. Along the way, the dry season comes round and causes problems for all concerned such as the rise of the ‘red flower’ (i.e. fire), and I hope no-one let John Oliver see this film, as he’d no doubt be off on another one of his idiotic ‘man-made global warming’ moans. Plus, meeting King Louie (Christopher Walken) is played out a bit like when Willard met Colonel Kurtz in Apocalypse Now, given how he cradles his head in the dark before revealing himself. 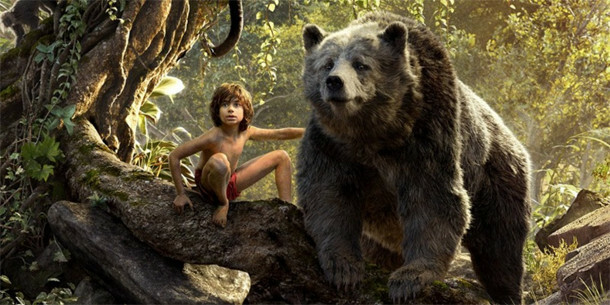 Mowgli (Neel Sethi) and Baloo (Bill Murray). The animation of the animals and their behaviour is superbly well done, even if the movement of their mouths to the words doesn’t always work because the long hair around their chops gets in the way, but then that’s how those animals evolved. 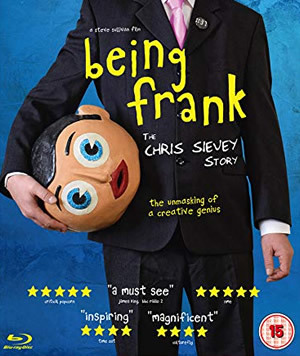 Overall, this is a neatly dark take on the original, but in a film with no other songs than The Bare Necessities and I Wanna Be Like You*, you get used to hearing no music, so those two feel rather crowbarred in when they’re heard, although had even the first one not been there, some purists would’ve been kicking off. (*Well, the end credits also bring you Scarlett Johansson, as Kaa, singing Trust In Me, as well as a version of The Bare Necessities from Dr John and the Nite Trippers). Finally, one important question – who cuts Mowgli’s hair? He’s the only one with opposable thumbs! 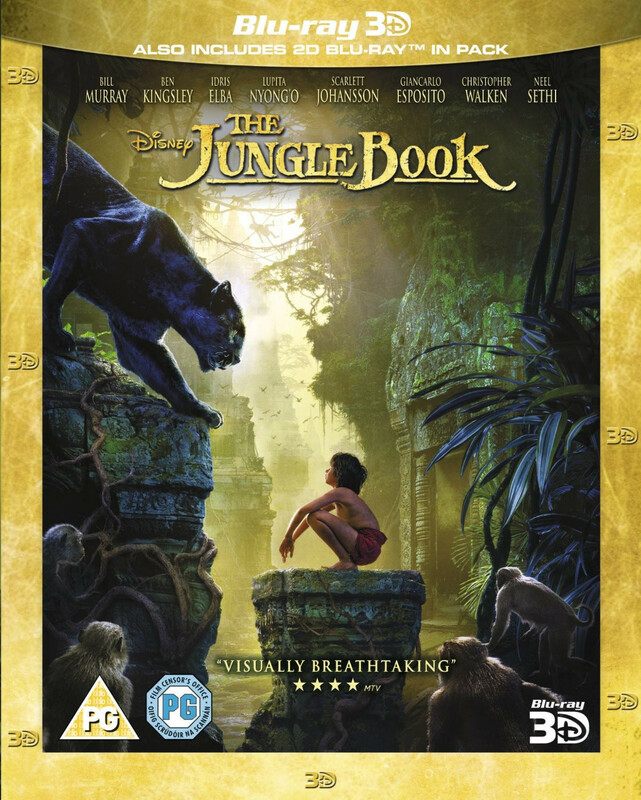 The film is presented in the original 1.85:1 widescreen ratio and in 1080p high definition, and as you’d expect, this release features a first-rate transfer showing off the CGI jungle beautifully. The 3D works best when the scenes are relatively slow. For example, the opening chase, as Mowgli is ‘trained’ by Bagheera to run like a wolf, cuts so quickly that your eyes don’t have time to adjust, which is a shame as it follows on straight after the brief opening titles that blend from the Disney castle logo to the jungle and the film’s moniker. 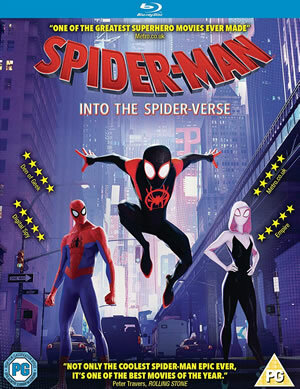 All that said, while the 3D is nice on occasion, it’s not essential for the majority of the movie where it features nothing that basic perspective wouldn’t give you, but what has also been released – and costs the same – is a Blu-ray double-bill of both this and the original animated movie (the 1994 version seems to have gone for a Burton in Hollywood’s eyes). The English audio track in DTS HD 7.1 with most of the other languages in 5.1, and as well as John Debney‘s score, there’s split-surround sound aplenty as eagles soar as Shere Khan comes into view, there’s a water buffalo stampede, a landslide, Kaa’s voice before she appears, and much more. The disc that I received just had the film on it in 3D and an English audio descriptive track. 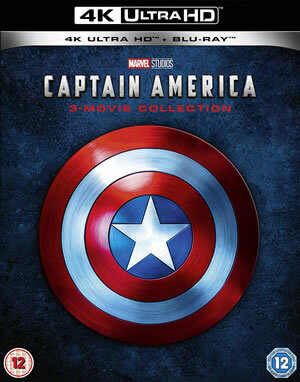 I understand a second disc comes with it which includes both the 2D version and the extras: a director’s commentary from Jon Favreau, and three featurettes: The Jungle Book Reimagined (Favreau, producer Brigham Taylor and visual effects supervisor Robert Legato talk about how they brought the film back to the big screen, plus chat from the voice cast), I Am Mowgli (how 12-year-old Neel Sethi was chosen for the young man-cub) and King Louie’s Temple: Layer by Layer (visual effects plus Christopher Walken’s recording session). Since I haven’t seen the extras, I can’t comment on what they’re like. 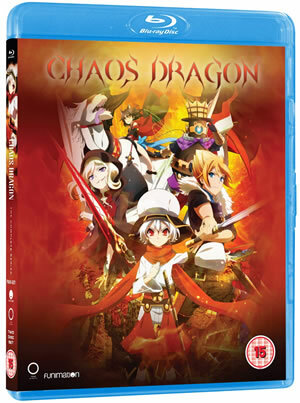 The menu features end-credit animation set to an instrumental version of Trust In Me, there are a reasonable number of chapters with 20 (better than most studios’ bog standard 12) and subtitles are in English for the hearing-impaired, Dutch, Portuguese, Spanish, French, Danish, Swiss, Norwegian and Swedish. The Jungle Book is released tomorrow on 3D Blu-ray, 3D Blu-ray Steelbook, 2D Blu-ray, and DVD. 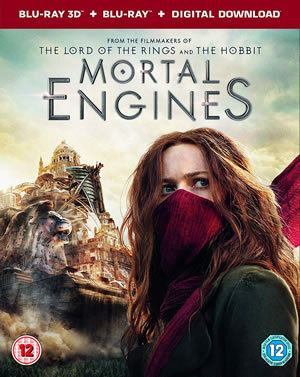 There’s also a Blu-ray double bill, and click on the packshot for the full-size version. 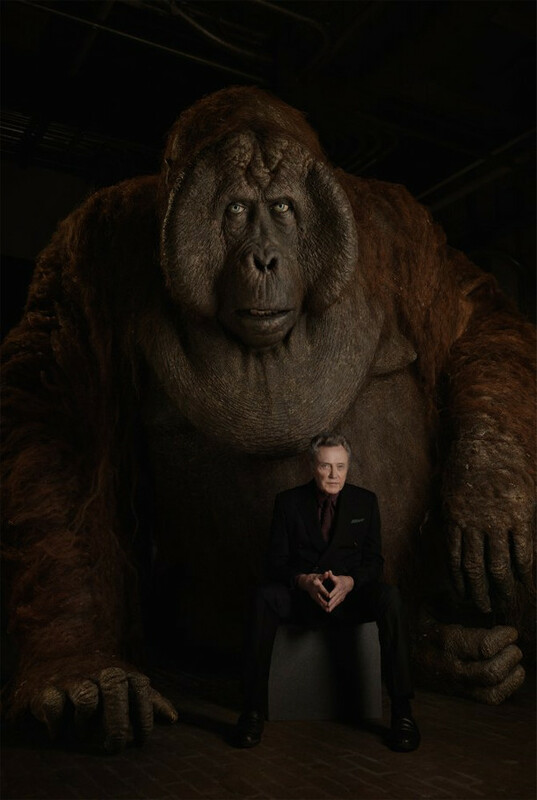 Christopher Walken and King Louie.